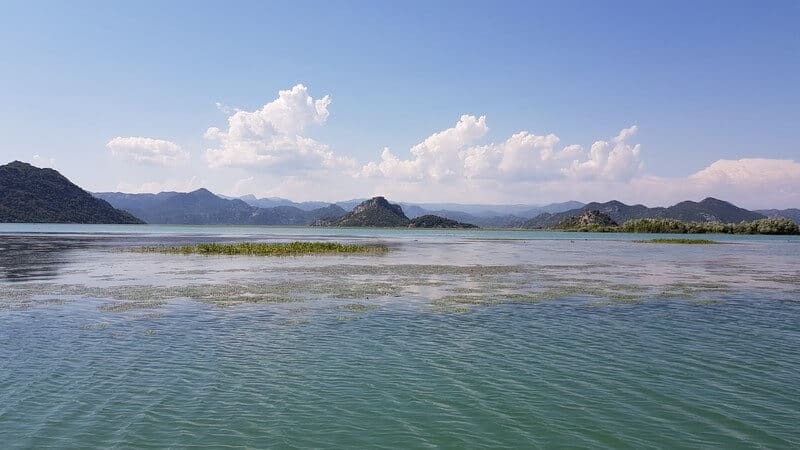 We had our first glimpse of the Lake Skadar at the famous Horseshoe Bend and I knew I wanted to see more of this magnificent natural beauty. 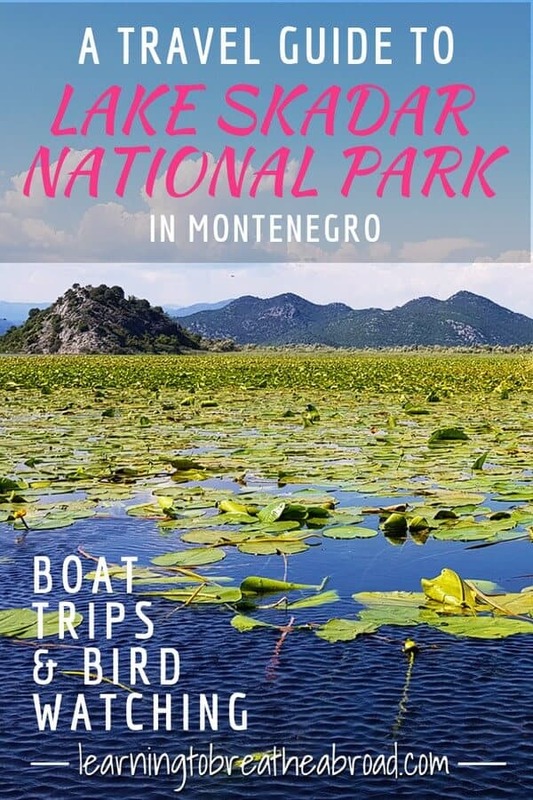 Surrounded by magnificent karst mountains, This vast wetland is teeming with wildlife, birds, monasteries and beaches. 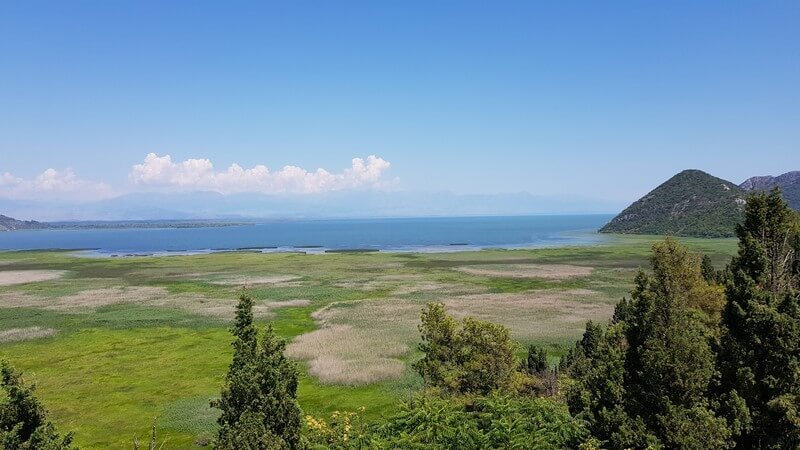 It is the largest lake in Southern Europe, straddling the border with Albania and is named after the city of Shkodër in northern Albania. 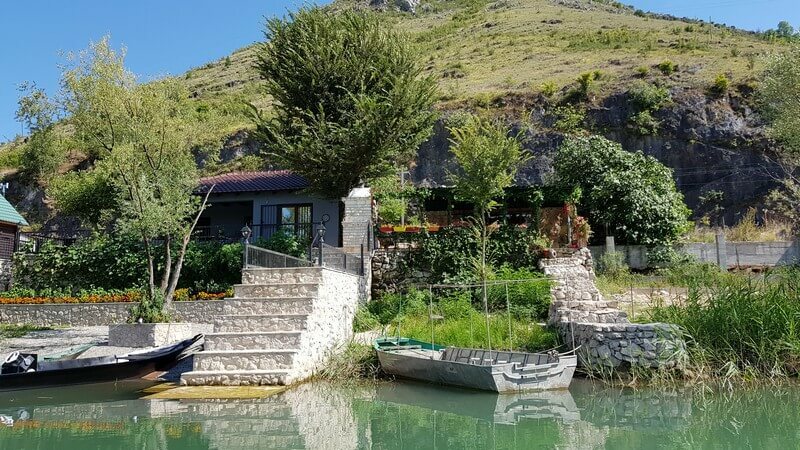 The best way to see the lake is to do a boat trip on Lake Skadar and the starting point for all the boat excursions is the town of Virpazar, so that’s where we headed. Arriving in Virpazar is a bit like running the gauntlet. 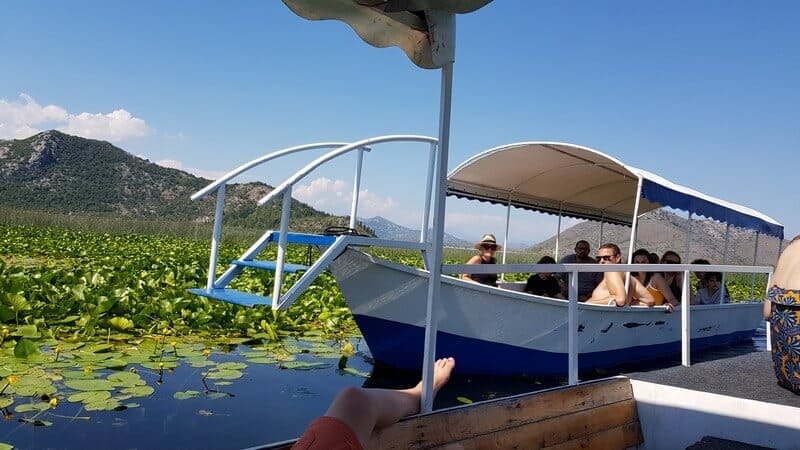 With every step you take, another boat tour operator will try and convince you that theirs is the best boat trip on Lake Skadar and that you should pay now. It can be quite intimidating! 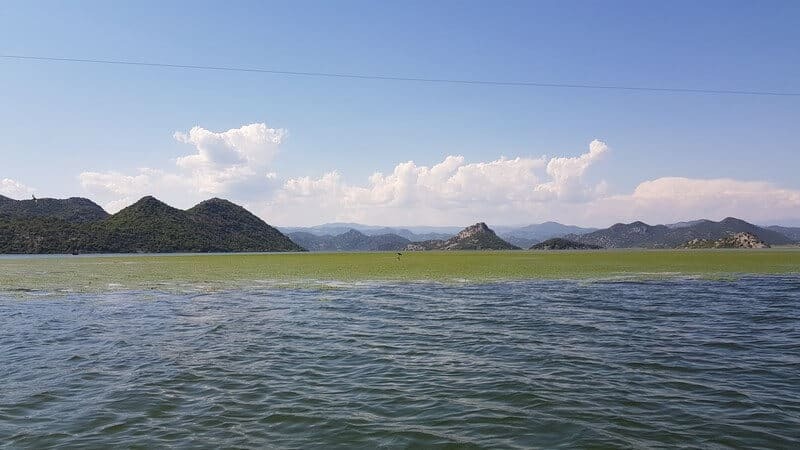 I wanted an unbiased opinion on which tour and tour company to take, so we made our way to the official Lake Skadar National Park Visitors Centre (42.246063, 19.090925). 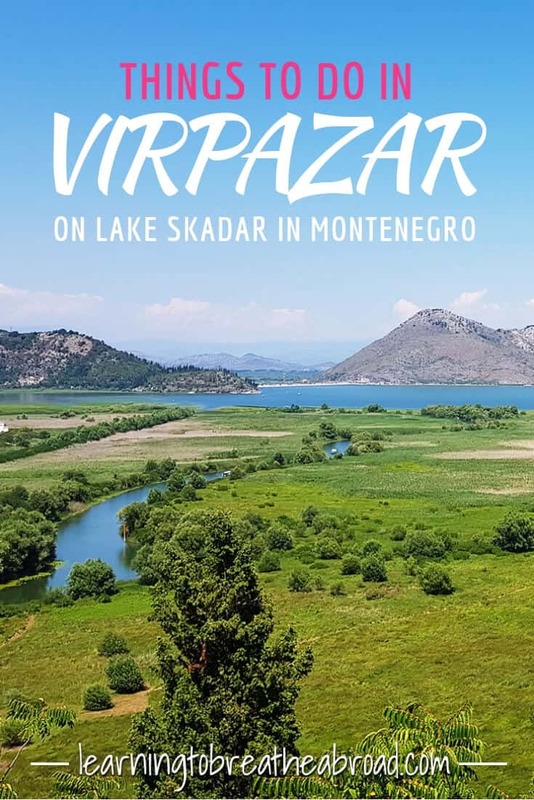 A lovely lady patiently answered all my questions and then guided me to Boat Milica’s stand where we opted to go for their 2-hour trip: Virpazar – Lesendro – Andrijska Gora – Virpazar. 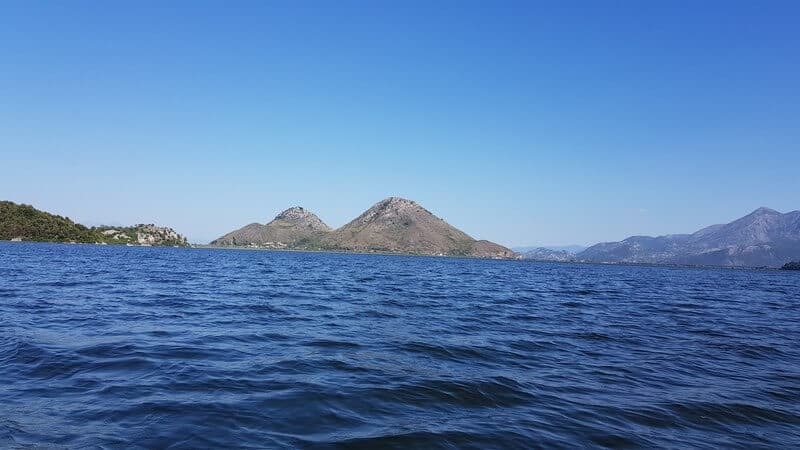 The most popular boat trips on Skadar Lake are a combination of pelican spotting and visiting medieval monasteries. 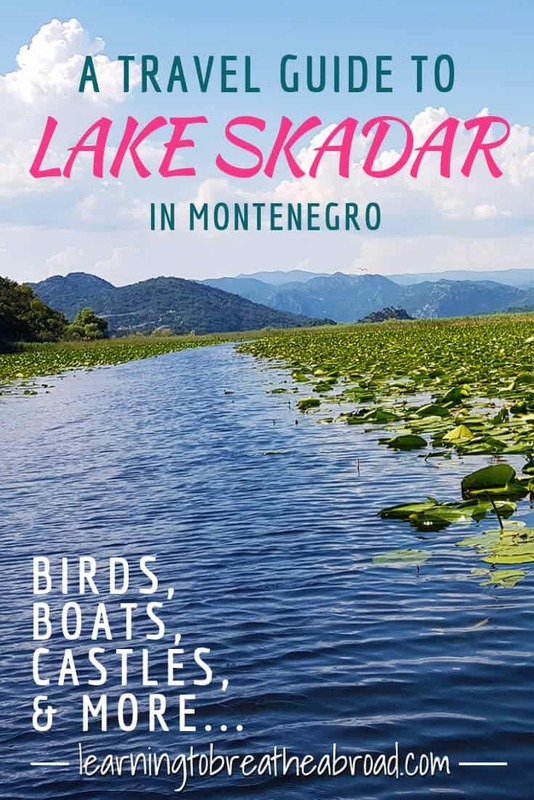 Bird watching tours are also becoming increasingly popular, as Lake Skadar has the largest bird habitat in this part of Europe. 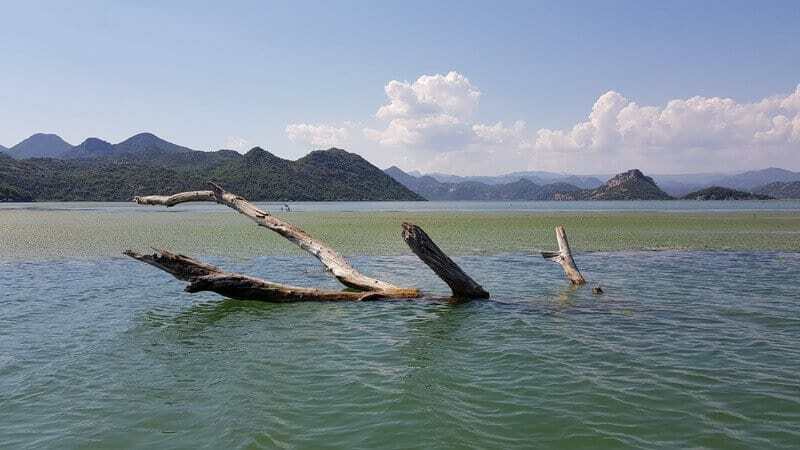 The lake has an estimated 280 species of birds, including the rare Dalmatian pelican and Pygmy Cormorant. It is nice to know that several nature conservation organizations and individuals are working together to save the pelicans from extinction and to secure their last breeding colonies on the lake. Let’s hope their efforts see an increase in these amazing birds. 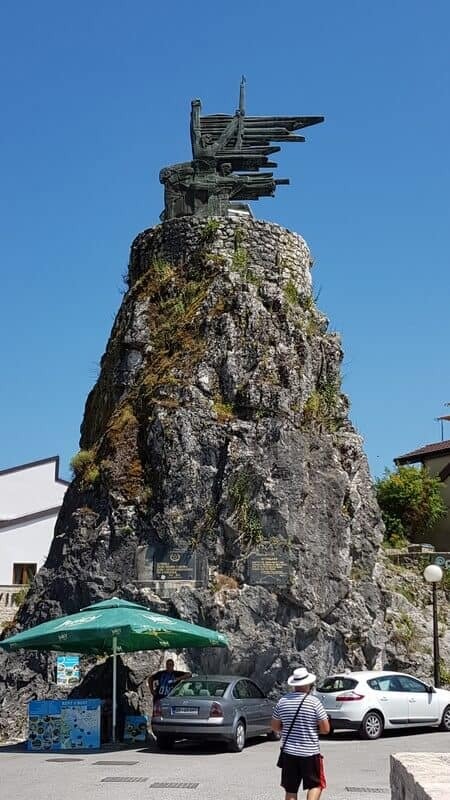 We had some time before the boat trip left so wandered over the old stone bridge, past the statue commemorating the 13th July uprising against the Italian occupiers and continued uphill to Besac Fortress. 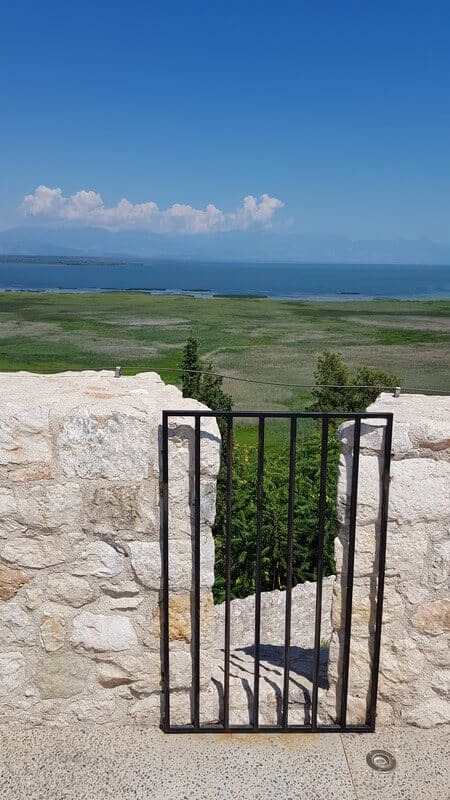 The fort was built by the Turks in 1478 and has played a significant role in the fortification system of the lake for several centuries. The easy walk up to the fortress took about 15 minutes and once on top, we were afforded stunning views out over the lake and the town of Virpazar. 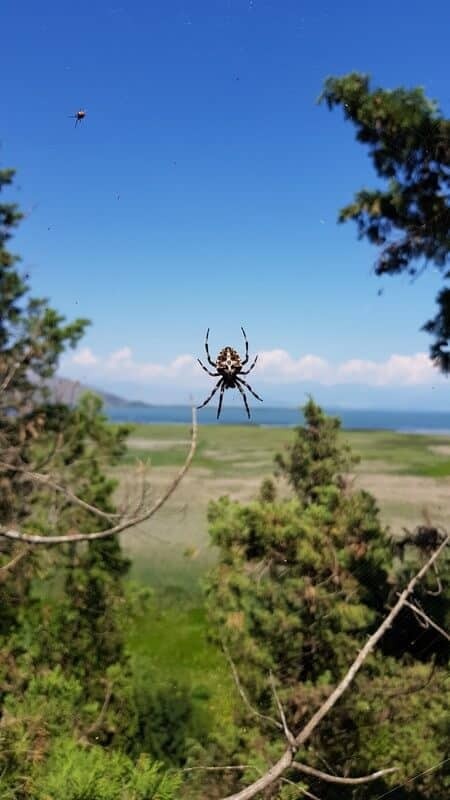 We had a harrowing experience with spiders on our hike on the Vrmac Ridge near Kotor and found the trees near the Besac Fortress full of the same giant arachnids. I googled to find some info on them but couldn’t identify them. Can you? 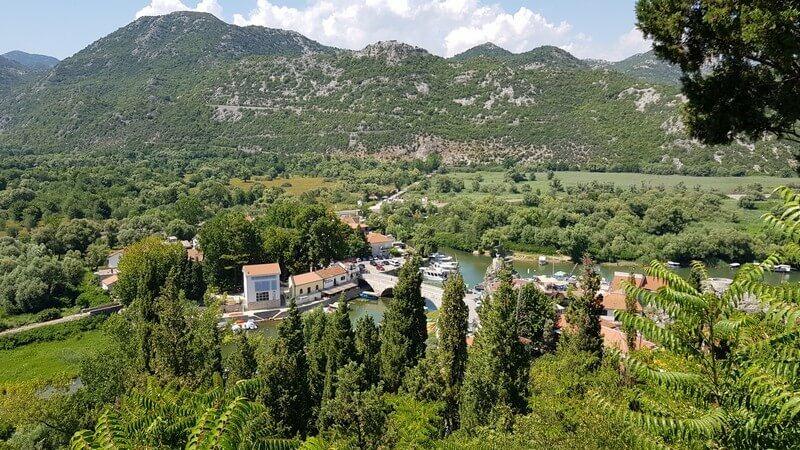 Interestingly, the old town of Vir was the most important trading point in Montenegro at the beginning of the 18th Century, with traders coming from Podgorica and Shkoder. This led to the word pazar (“marketplace”) being added to create what we know today as Virpazar. 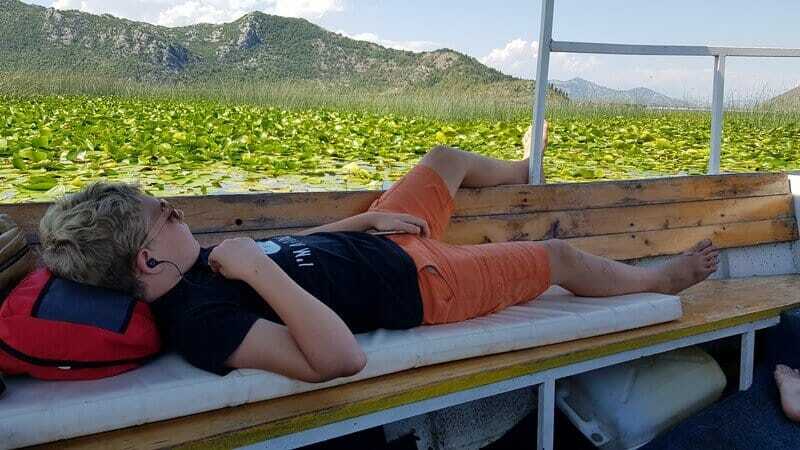 There is no better way to relax than a slow boat cruise, where all that is required is for you to sit back and watch nature in all its magnificence. There were only 8 of us on our little flat-bottomed fisherman’s boat trip with a maximum of 10 allowed per boat. 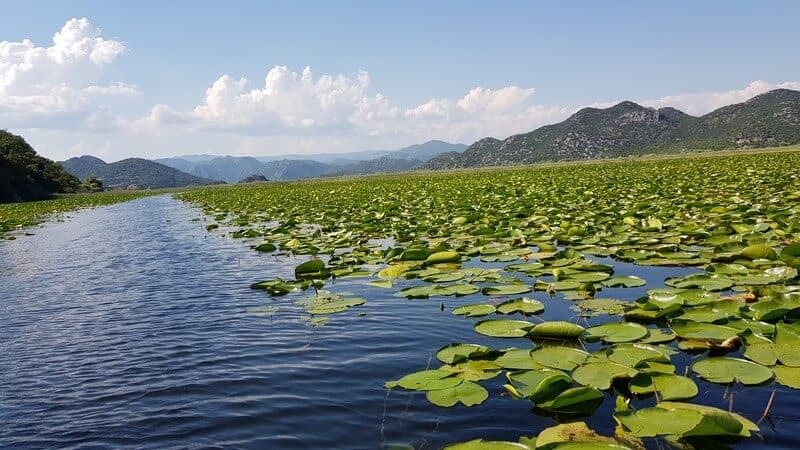 Leaving from Virpazar, we cruised down a narrow canal, passing a never-ending carpet of lily pads and reeds, before entering the main body of Lake Skadar. Passing under the Vranjina bridge, we could see the ruins of the old Lesendro Fortress alongside the railway tracks. 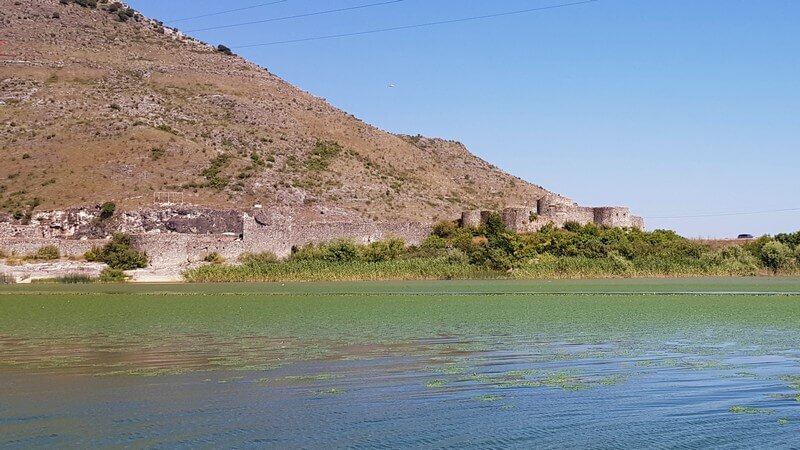 The fort was called the “Key to Skadar Lake”, as it was meant to ensure safe trade and fishing for the local inhabitants. Unfortunately, it was conquered by the Turks in 1843, who remained there for another 35 years. 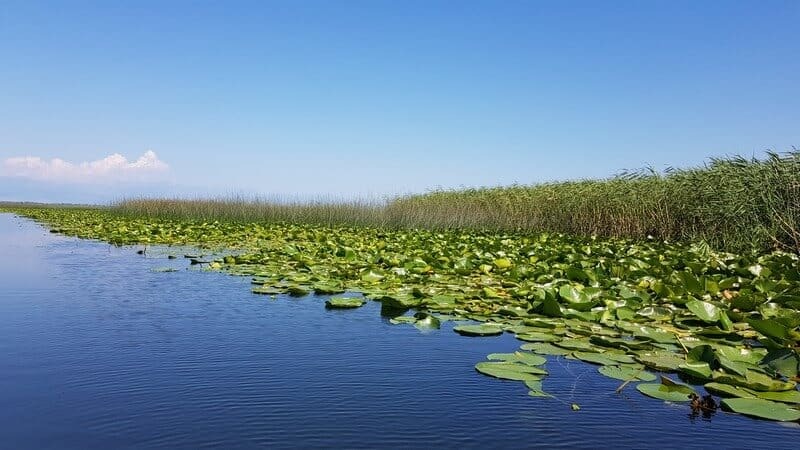 We puttered past a fishing village and took a shortcut through an incredibly narrow canal between tall reeds, eventually coming out in a field of lily pads. 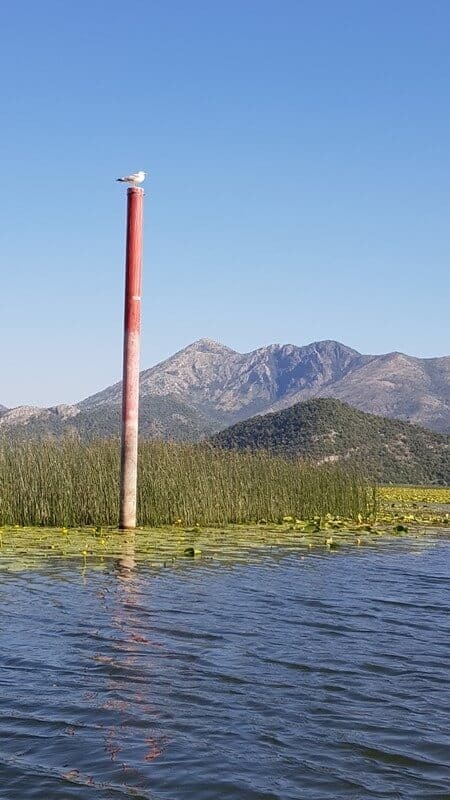 The birdlife on the lake was just incredible! 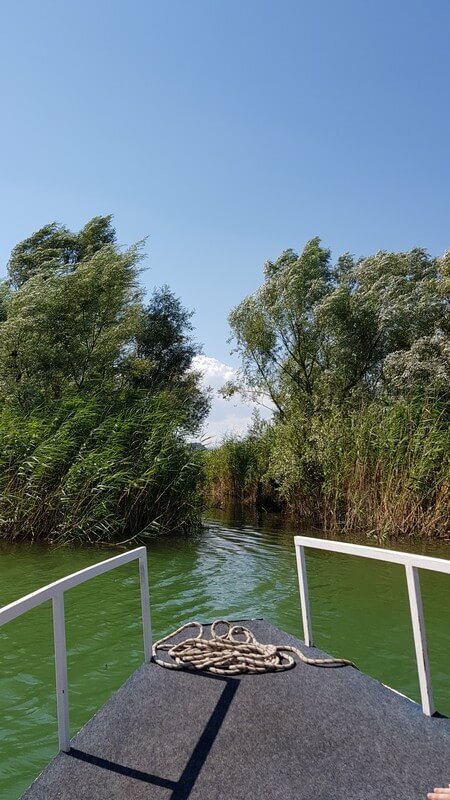 We saw white, gray and purple herons, cormorants, swallows, turns, great crested grebes, coots, terns and Dalmatian pelicans. Birds were flying overhead or bobbing on the water. They were perched on top of tall reeds, balancing on lily pads or diving under the water. It was a nature in all its splendid glory! Halfway through the boat trip, our guide stopped so we could all have a swim. It was a boiling hot day so no one needed to be asked twice to jump into the delicious refreshing water. Our guide regaled us with interesting stories about the area, the history, and the people. 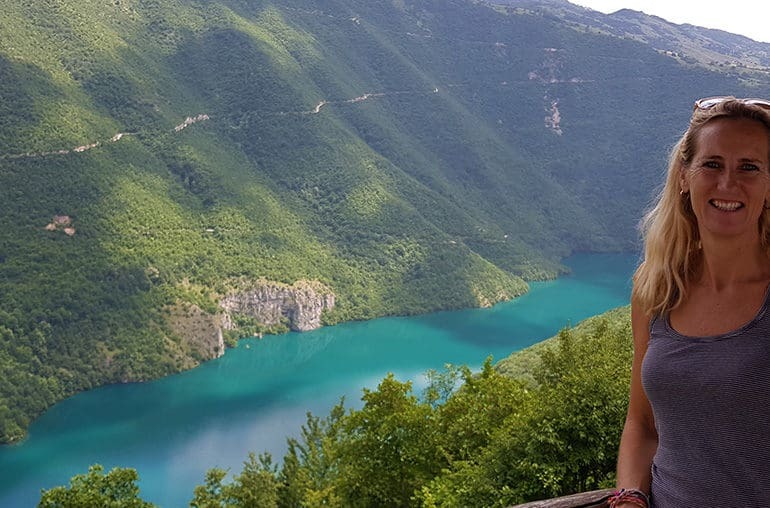 On the way back to Virpazar, he pointed out the twin Vranjina hills known locally as the “Breast of Sophia Loren”. Tai, as an 11-year-old boy, found this very amusing, but only after I explained who Sophia Loren was! 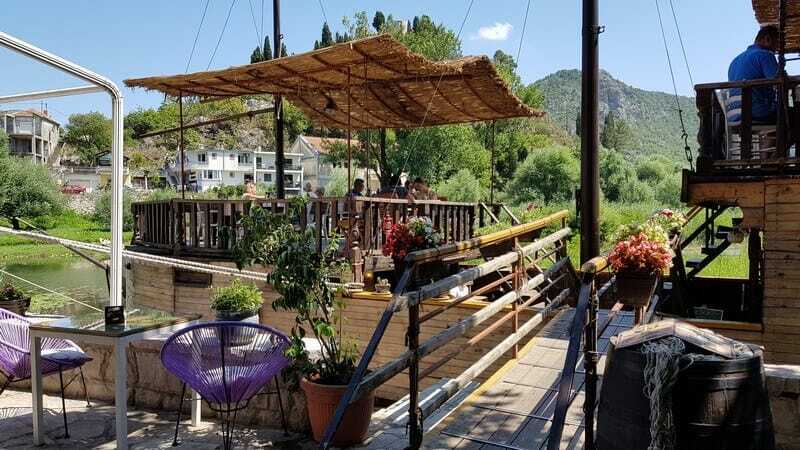 Back in Virpazar, we were in need of refueling and how could we resist a restaurant in an old pirate ship on the river? The food at Restaurant Silistria was excellent and included fresh fish from the Lake. 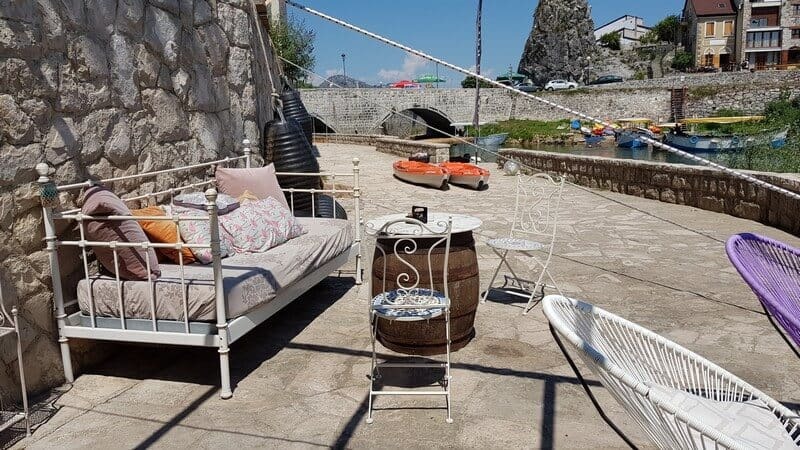 We had the option of sitting on the boat or on the comfy couches on the wharf alongside it while watching the sunset over the Besac Fortress. Such a sleepy, tranquil setting to end another magical day! 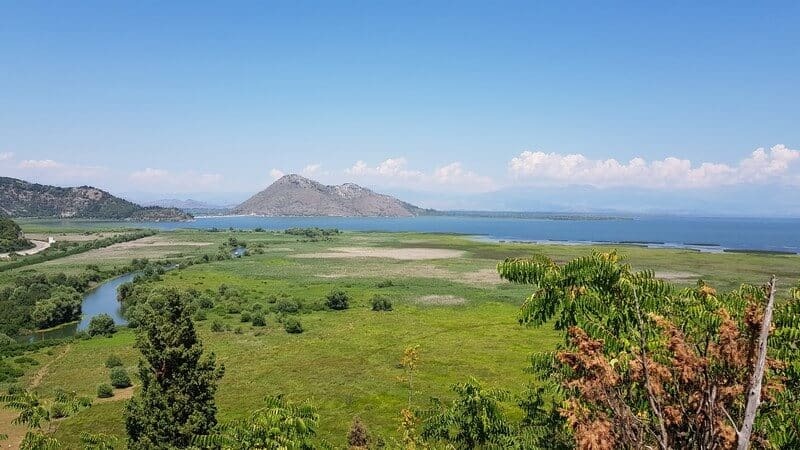 4 Euro = Entrance Fee for Skadar National Park. Kids are free. 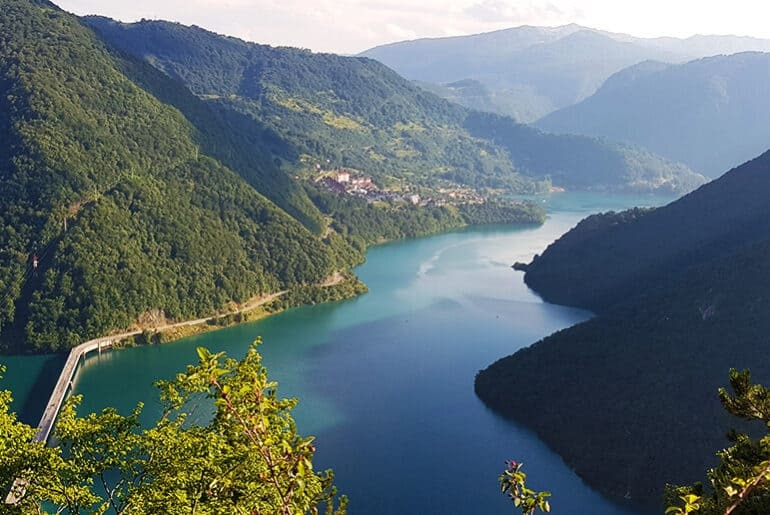 Montenegro tourism is widely promoting the Panoramic Route, which is a self-drive route around the edge of the lake, passing through all the villages along the way. I thought this sounded fabulous, but when I mentioned I was in a campervan I was quickly told it would not be possible. Apparently, the road is incredibly narrow and passing other cars is difficult enough even with two small cars. I asked for 3 people’s opinions and all advised me not to drive this road. I had been really looking forward to it so was rather disheartened by this news. If you have driven this route in a campervan, I’d love to know. For those feeling a little more energetic, why not try kayaking or cycling? Both bicycles and kayaks can be hired in Virpazar. The Tourist Office can provide you with maps of the various recommended cycle routes from 9km route to a 65km route. 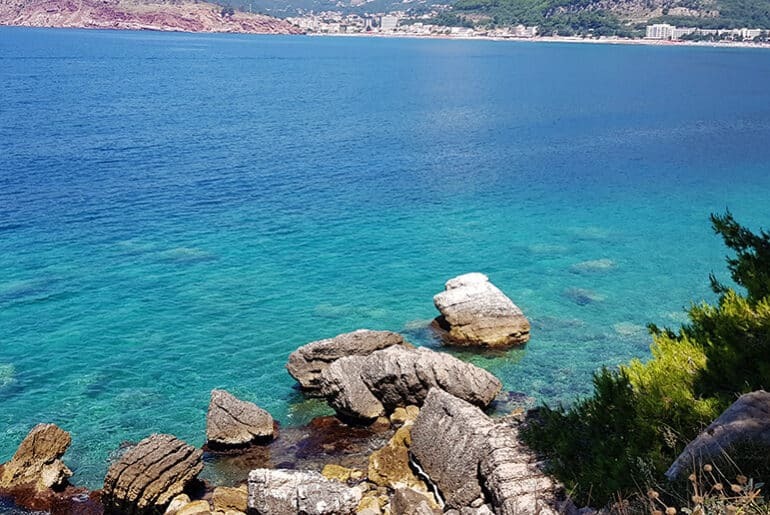 There are a number of guided kayaking tours or if you just want to set off and explore on your own, the kayaks start from €5 per hour for a single and €7 for a double. To get into Virpazar, you need to drive over the railway lines. On the left is a small carpark in front of a supermarket and another road leading off the carpark over another bridge. Drive across this second bridge and you will find a long dirt road with ample place to park. There are no facilities, but you could use the toilet at any of the restaurants nearby and the supermarket is right there. 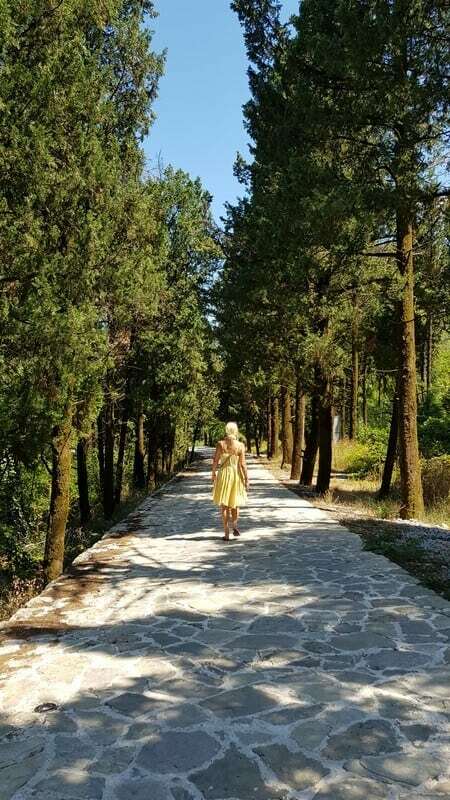 Beware though, you will more than likely be met by a man telling you this road is his property, he is happy for you to stay and he will give you free wifi and electric. 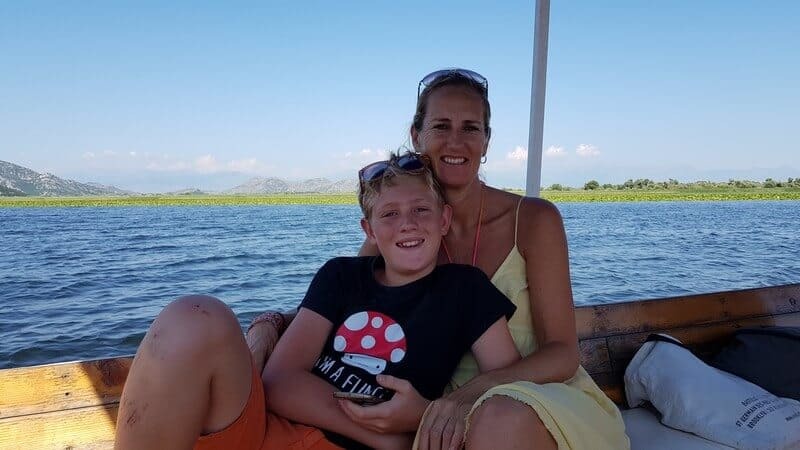 He will be all smiles and you will be grateful and then he will start pushing his boat trips and telling you to eat in his restaurant – Pelican Restaurant. If you refuse, he loses his smile very rapidly and storms off. 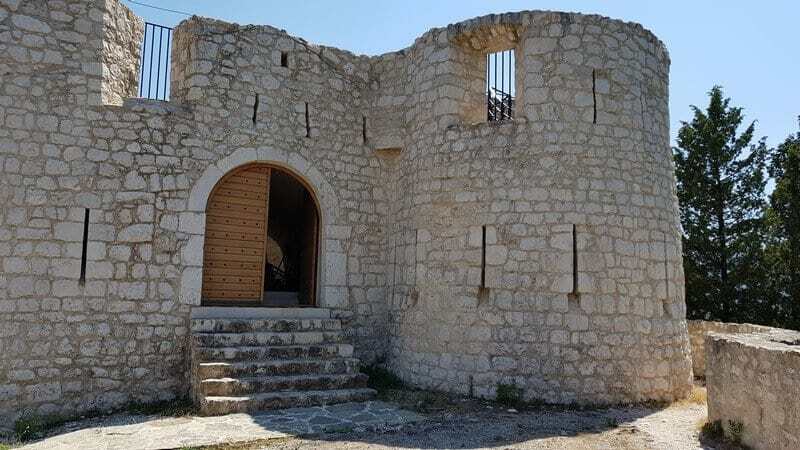 I asked at the tourist office and they told me that it is free to park anywhere in the whole town of Virpazar, so when “Mr. Pelican restaurant” tells you it’s his property, you can politely set him straight. 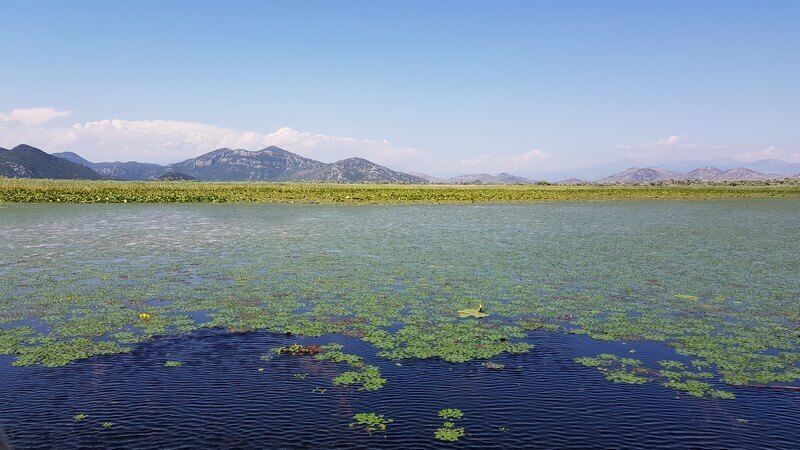 Let Us Know: Have you been to Lake Skadar, Montenegro? What were your impressions of the boat trip? Tell us in the comments!